Upper Deck has big plans for the 2016 National Sports Collectors Convention in Atlantic City from August 3-7. The company is producing an incredible wrapper redemption program, a special VIP set, giving fans the opportunity to take part in a high-end group break for FREE, running the company’s extremely popular Random Acts of Kindness Scavenger Hunt, hosting an exclusive party for collectors and sharing a variety of other surprises for fans in attendance. Upper Deck’s wrapper redemption program this year will include a Prominent Cuts set which will include ten base cards (multi-sport), autograph cards and rare one-of-one cut signature cards! UD Wrapper Redemption packs and Case Breaker exclusive cards will also include ten top NHL rookies that will also have a rare autographed parallels. UD will raffle spots to participate in a FREE group break for a super premium product! Fans will score for checking out the show and finding Upper Deck Random Acts of Kindness envelopes they can redeem for prizes at the UD booth! 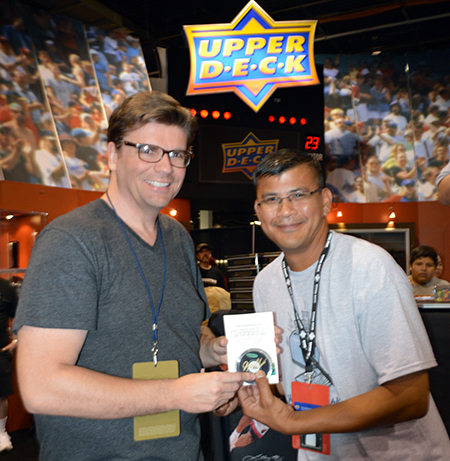 Collectors LOVE visiting with Upper Deck at the show! UD: Why should someone attend the National Sports Collectors Convention? Broggi: The National is a once a year event which brings together all the various entities of the collectibles hobby. We have both vintage and new card dealers, card manufacturers, grading companies, auction houses and various other groups all in one place for five days. There is nothing like it anywhere else. If you’re looking for something in the world of collectibles and can’t find it at the National, it probably doesn’t exist! Bill Simmons (known as the Sports Guy) is a frequent show attendee and his post-show stories are testament to how great the show is! UD: Why should a dealer set up at the National Sports Collectors Convention? 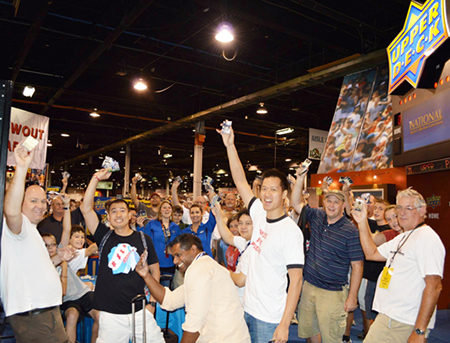 Broggi: Dealers love the National because it brings out all the collectors who may be looking for that rare, hard-to-find collectible or to purchase the newest trading card product. Dealers also love the interaction they have with fellow dealers as there is a comradery among them on the floor. Some of business is transacted dealer-to-dealer on the show floor and they make contacts they will use for their business in the future. Dealers are extremely diverse at the show offering a variety of collectibles for every type of fan at every budget! UD: Why should someone purchase a VIP admission? Broggi: The VIP Package is the best buy – an attendee gets admission to all five days of the National Sports Collectors Convention (Wednesday-Sunday) plus a great VIP Party on Wednesday with free autograph guests, food and prize drawings. In addition, there is an autograph component which gives VIP’s 12 or 18 free autographs from select VIP guests (usually local favorites) and the VIP gift package which includes exclusive card sets not available anywhere else. VIP’s also get into the show one-half hour earlier than General Admission attendees giving them the opportunity to get first chance to get in lines for promotions at the show or find special deals. 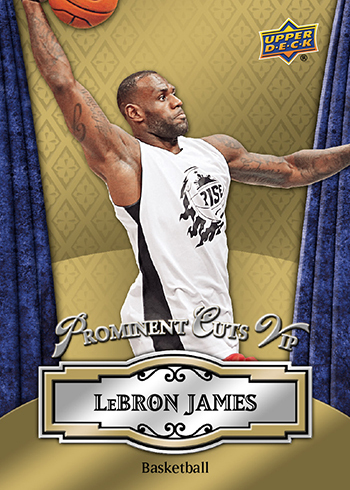 UD’s five-card VIP set this year will include LeBron James, Martin Brodeur, Wayne Gretzky, Tiger Woods and Michael Jordan. 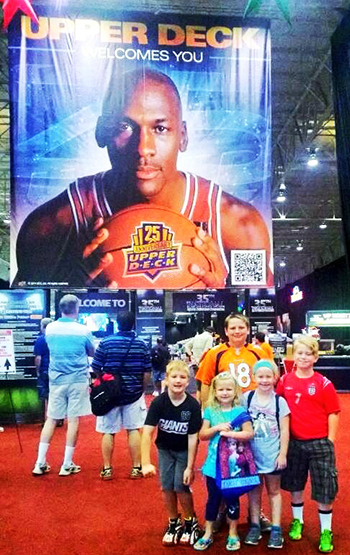 UD: Is the National Sports Collectors Convention kid-friendly? Broggi: We’re proud to say that we’ve welcomed kids aged 12 and under at no charge for the last 15 years. Many of our corporate exhibitors have special activities for kids at the show. It really is a family event where parents can share their love of the game with their kids and we want to do all we can to cultivate that. 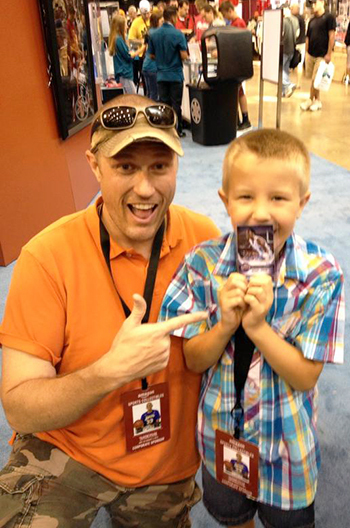 This father and son made memories that will last a lifetime when they pulled a Michael Jordan autograph card at the Upper Deck booth during the National. UD: How do fans see what athletes will be available to sign autographs at the show? Broggi: The huge list of athletes appearing at the Tristar Autograph Pavilion is available both on the National’s website at www.NSCCShow.com and at Tristar’s website at www.tristarproductions.com/National/index.html. 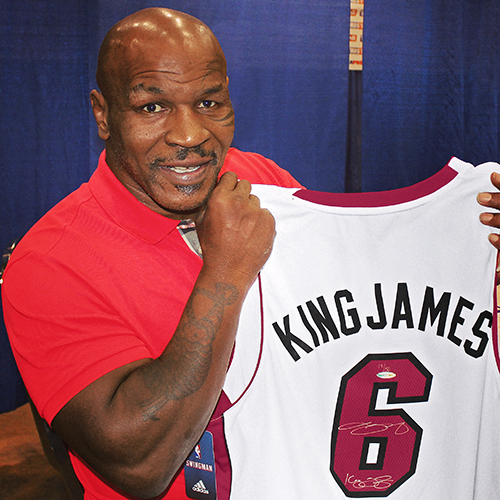 Mike Tyson shows off an Upper Deck Authenticated LeBron James jersey in the autograph pavilion that he scored at the National for his kids. 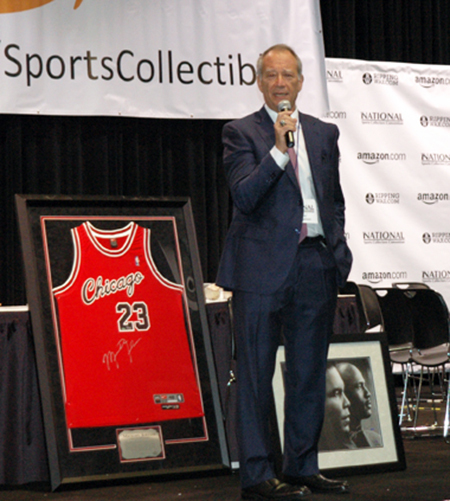 UD: What is your favorite part of the National Sports Collectors Convention? Broggi: Personally, I love the excitement leading up to our opening on Wednesday afternoon. We come into an empty Convention Center on Monday morning and in two short days we’ve built a huge city filled with vendors and exhibitors with all kinds of wonderful items ready for the attendees to converge upon. There is such energy and excitement as people line up to get in prior to the VIP Party, it is electric! 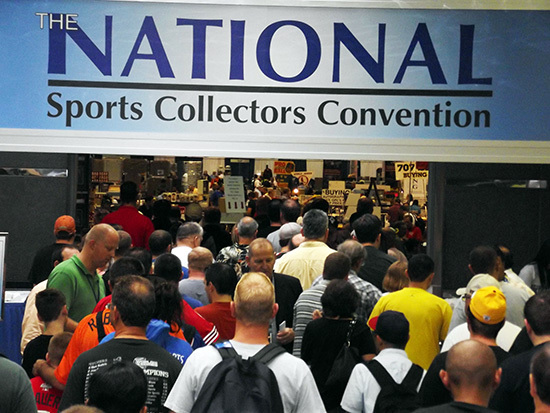 There is a ton of excitement as you walk through the doors of the National Sports Collectors Convention! UD: Why is the event in Atlantic City this year? Broggi: We know that the East Coast is a huge hotbed for collectibles. The Baltimore shows in 2010 and 2012 proved that. We have always looked for a regular East Coast location to put into our rotation. When Baltimore was unable to give us future dates that worked for us, we reached out to several sites. Atlantic City provides us with a huge population base from which to draw and gives us dates that are ideal. The city is looking to become a destination for tourists and has rolled out the welcome mat for us as organizers, helping us with promotion and everything else we need. We believe that exhibitors and attendees alike will find it a great site for the National. Atlantic City this summer should be beautiful! UD: What are the best places to stay for this year’s event? Broggi: We have several different hotels in our room block, both casino and non-casino properties. Hotel rooms are filling quickly. You can visit our web site at http://nsccshow.com/hotel-accommodations/ for room information. UD: What is there to do in Atlantic City besides gambling? Broggi: Atlantic City has great entertainment venues at many of the casino properties. 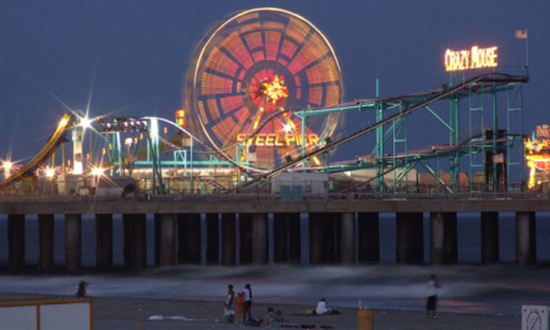 In addition, we’ve partnered up with the world famous Steel Pier to provide reduced rate ride tickets there. Obviously the beach at Atlantic City and all along the Jersey Shore is an attraction. There are countless restaurants for every type of budget ranging from gourmet five-star venues to the best subs in America. 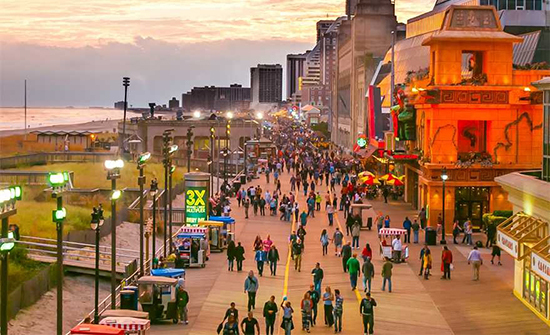 The Atlantic City Boardwalk is world-renowned and something you just have to experience. And we are only an hour from Philadelphia and all that incredible city has to offer. There is plenty to see and do in Atlantic City during show off hours! UD: For those who can’t make it this year, where will the National Sports Collectors Convention be next year? Broggi: We will be back at the Donald E Stephens Convention Center in Chicago (Rosemont) IL next year. Dates for 2017 are July 26-30, 2017. UD: What will the legacy be of Mike Berkus, who ran the show for so many years and who sadly passed away in November? Broggi: Mike will be sorely missed. I’m feeling his loss every day as we go through the planning process for this year’s event. I want to pick up the phone as I always have and have us each bounce ideas off each other. We believe that he’d expect us to put on the best possible show we can and, in his honor and memory, that’s what we will try to do. 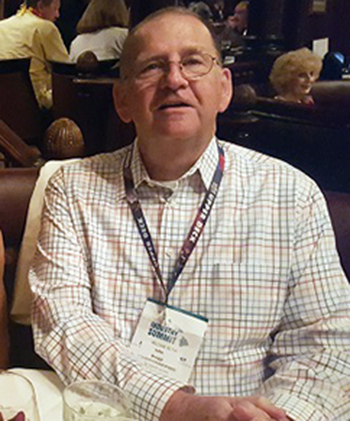 We announced at the Industry Summit Trade Show in February that the Center Stage in the Case Break Pavilion will be named in his honor at this year’s event. Several long-time exhibitors have asked about hosting an event one night after the show closes to remember Mike and we are working with them to help make this happen. We’re happy that Mike’s son Dan has joined the team organizing the National and that may be his greatest legacy. Mike Berkus was a fixture at the National and helped make the show what it is today. Upper Deck is planning a special trading card tribute to Mike Berkus that the company will share details on soon. He will be missed and had a profound influence on this hobby. 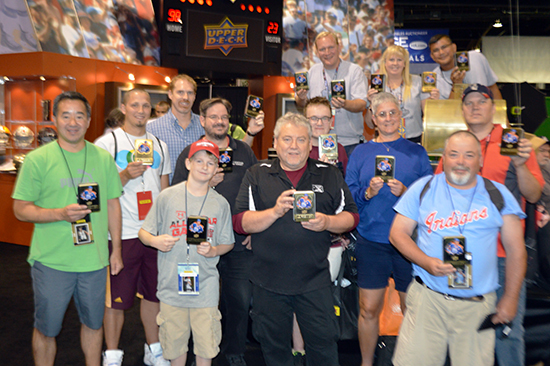 Tickets to the 2016 National Sports Collectors Convention are available now at www.nsccshow.com! Don’t miss out on what is sure to be an incredible sports weekend!